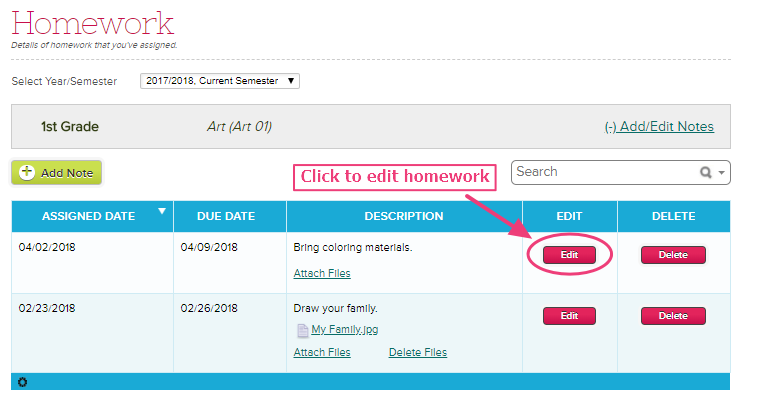 This article offers detailed instructions on accessing the Homework Module, assigning, editing, deleting, and searching homework. 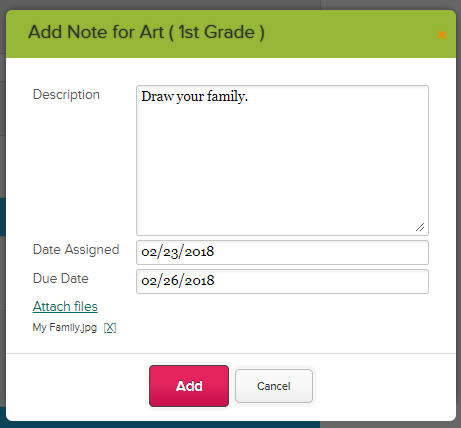 Fill in the description, assignment date and due date. 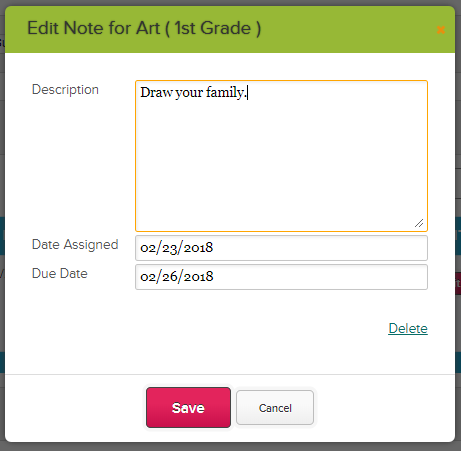 You can attach multiple files or remove incorrectly attached files by clicking the [X] mark. 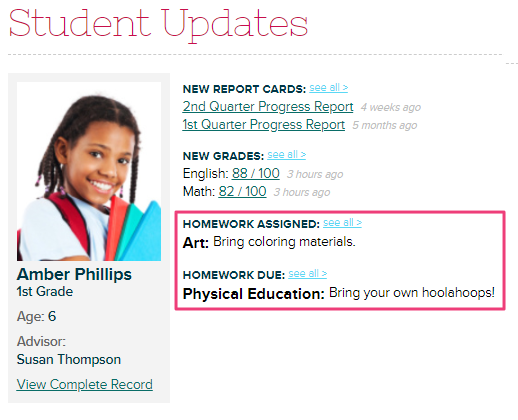 Click Addbutton to save new homework assignment. 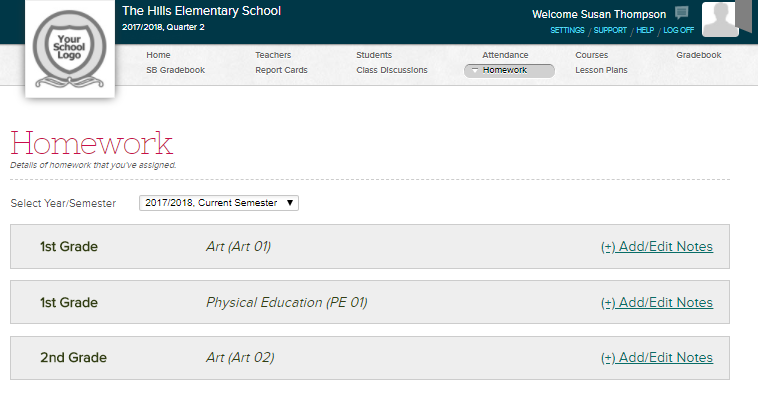 Alternatively, the students can check the posted homework assignments by clicking the View Complete Record link > Homework tab.